Market demands have changed and consumer preferences have shifted in the world of retail. BareBones WorkWear® assumes a nimble stance that positions us for resilience in this ever-evolving market. Each of our franchisees is equipped to navigate and innovate in a way that breathes life into our sector. 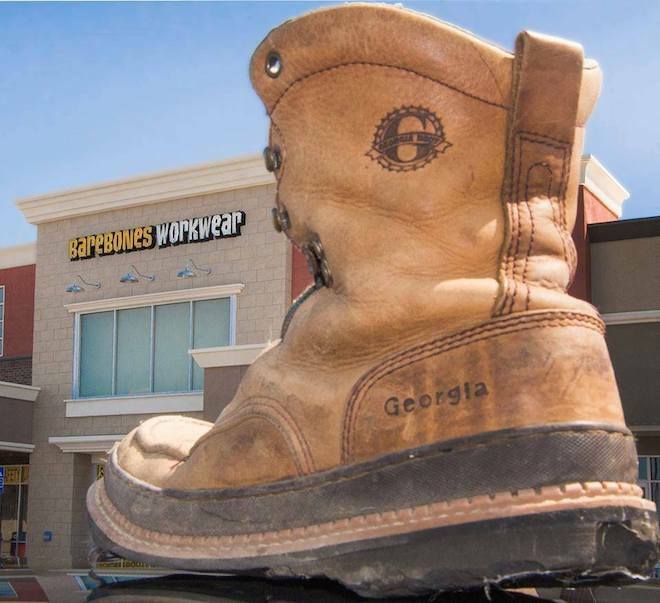 What’s the BareBones Workwear® secret to the growth of our retail store franchise? Our resilience is due, in large part, to our niche status. Many of today’s retail concepts try to serve as “one-stop-shops” for every possible need. As a “No B.S.” concept, BareBones® doesn’t pretend to be all things to all people, and that’s quite alright. We stand firm in our expertise surrounding workwear and apparel, and we wouldn’t have it any other way. When entrepreneurs invest in our retail store franchise concept, they learn how to start a clothing business with the same confidence. The BareBones WorkWear® franchise opportunity equips them to sell specific products that satisfy specific needs for a specific market. We know where we excel, and we own that space. Fashion trends are here today, gone tomorrow. Retail brands could easily load up their racks with the latest and greatest patterns, fabrics and styles, only to mark them down later and clear space for the next big item. When certain SKUs are “in” one week and “out” the next, it is difficult for retail stores to really gain ground. Insane turnover and fluctuating fulfillment demands prevent these brands from pursuing true growth. At BareBones WorkWear®, we sidestep the ebbs and flows caused by seasonality and changing tastes by focusing on function over fashion. When a utility worker is climbing a 15-foot pole in the dead of winter, the last thing on his mind is how stylish he looks. Our retail store franchise stores have sure footing because of a laser-focus on our customers’ core needs. And at their core, our customers want well-fitting, durable gear to keep them warm, safe and protected – whether their careers lead them to sweltering outdoor temperatures or hazardous environments. By tuning into and innovating around this unwavering need, BareBones WorkWear® has become a mainstay among working-class shoppers. A strong and consistent customer experience won’t just motivate shoppers to return, it’ll inspire them to spend more, as well. According to an industry survey, 55% of customers are willing to pay more if it means they’ll receive a guaranteed good experience. From entrance to exit, that’s exactly what BareBones WorkWear® offers. Our apparel franchise support and training helps franchisees embody our “no frills” personality and deliver the quality of service our customers deserve. No matter what day of the week someone visits our retail store franchise locations, they can trust that the team is knowledgeable, empathetic and prepared to make spot-on recommendations that suit their needs and budget. This flawless execution of our customer-centric brand standards sets BareBones® apart in the retail space. Create your own future in the retail industry with BareBones WorkWear®. We welcome you to adopt a resilient model that stands strong in an evolving market. Get started today! Download our FREE workwear clothing franchise quick info guide, or schedule an introductory call with the BareBones WorkWear® apparel franchise team. Workwear vs. Uniforms: What’s the Difference? BareBones WorkWear®, Proudly powered by WordPress.